Kellerstrass' "Profit Sharing catalog", No. 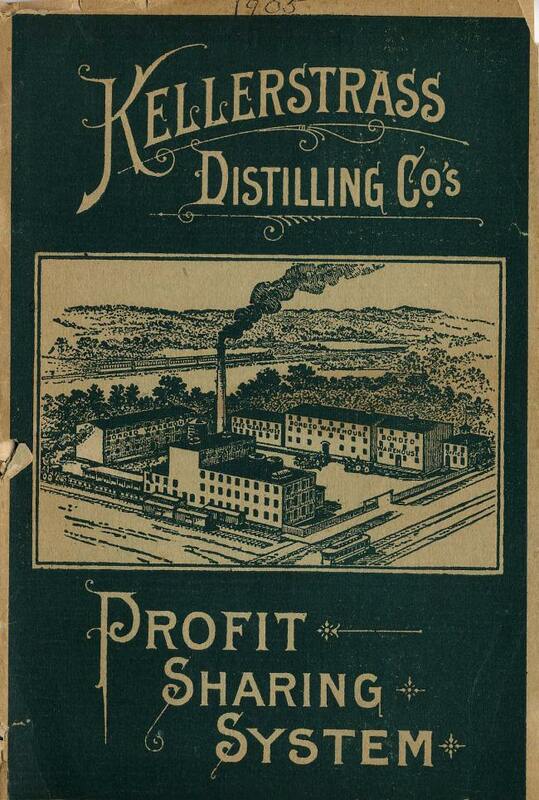 81, a booklet that describes premiums that can be earned through purchase of Kellerstrass whiskey. It was issued by the Kellerstrass Distilling Co. of St. Louis and Kansas City, MO. The company issued one certificate for each gallon of whiskey ordered. Nine certificates earned a penknife. Thirty-eight earned a revolver, 150 earned a "Victor Talking Machine", 300 earned a buggy. The pages measure 5-3/4" x 8-3/4". The booklet dates to around 1905. From the Paul Gronquist collection. Reproduced here with kind permission.